With products ranging from high-end chocolates to gelato to baked goods, the operation opened a few weeks back to much fanfare, including a night with free gelato for kids and all-you-can-eat gelato for adults. This means the new Anna Maria Island Creamery and Bakery opened to high demand with a wide variety of products in a location known for extreme, summer-like conditions. The bakery, chocolate, and gelato shop chose Orion by Clabo’s Italiana line of artisan showcases to help with some of these challenges. Italia cases are beautiful, they’re known for their performance, and they express the ideal of Italian craftsmanship, which aligns with the Creamery’s goals, as well. Marek Stangl, owner of the operation, said they purchased the absolute finest cases to outfit the new shop, which is just one blog from the beach. And Marek did his homework, meeting with every manufacturer available before deciding the Italiana line from Orion by Clabo was the best option for his operation. The line-up consists of one pastry case, two gelato cases, and one chocolate case. This shows the versatility of Orion by Clabo’s refrigerated display cases, specifically the Italiana display case. 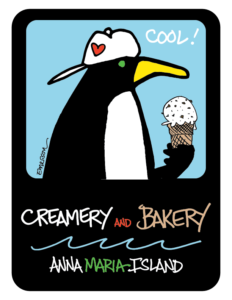 Check out this video tour of Anna Maria Island Creamery and Bakery, and see for yourself. Looking for the right display case for your gelato or bakery? Start with the Orion by Clabo Designer Guide and discover a world full of Italian-style options.